When you're higher up, you're less likely to be snuffed out by that trophy buck you've been after all year. 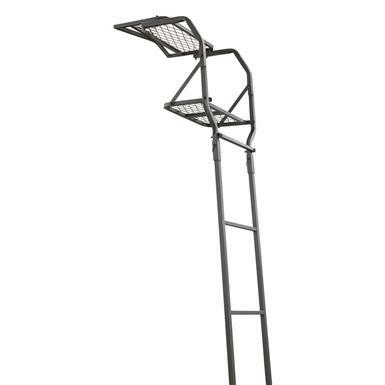 That's why you need this simple and affordable Guide Gear® 15' Ladder Tree Stand. It's lightweight, easy to set up, and gives you the vantage point you need for that once-in-a-lifetime shot. Like all Guide Gear products, the 15' Ladder Stand was designed and field tested by people who hunt and know the Great Outdoors. We also keep the price low by going straight to the manufacturer and never passing down extra costs to you. That's the goal of Guide Gear. To make high-quality, affordable products for the everyman. 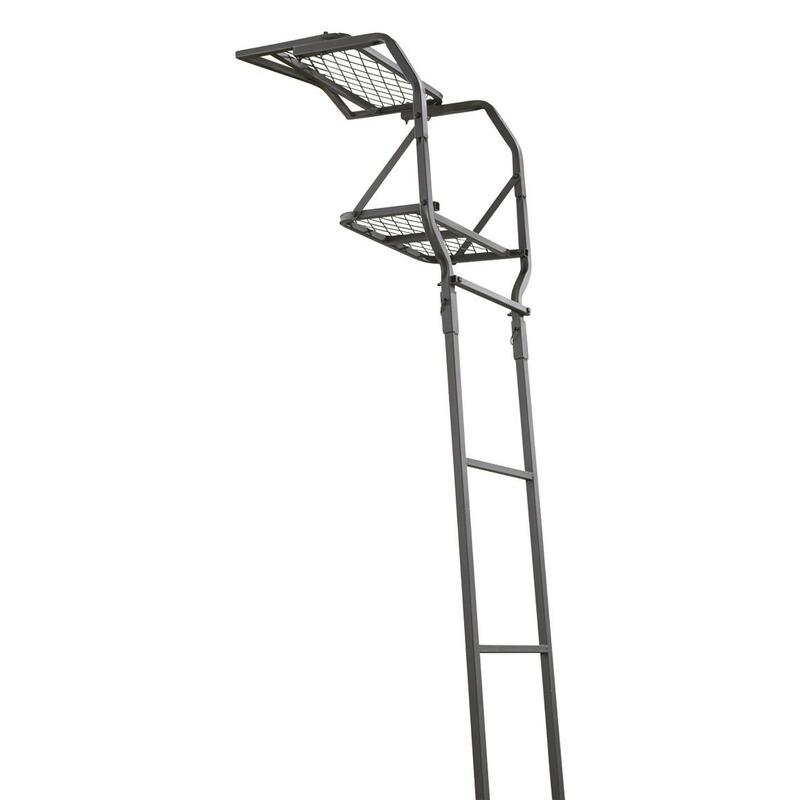 For a no-hassle and affordable Deer Stand, there's no better value than the Guide Gear 15' Ladder Tree Stand. Elevate your hunt and order yours today! 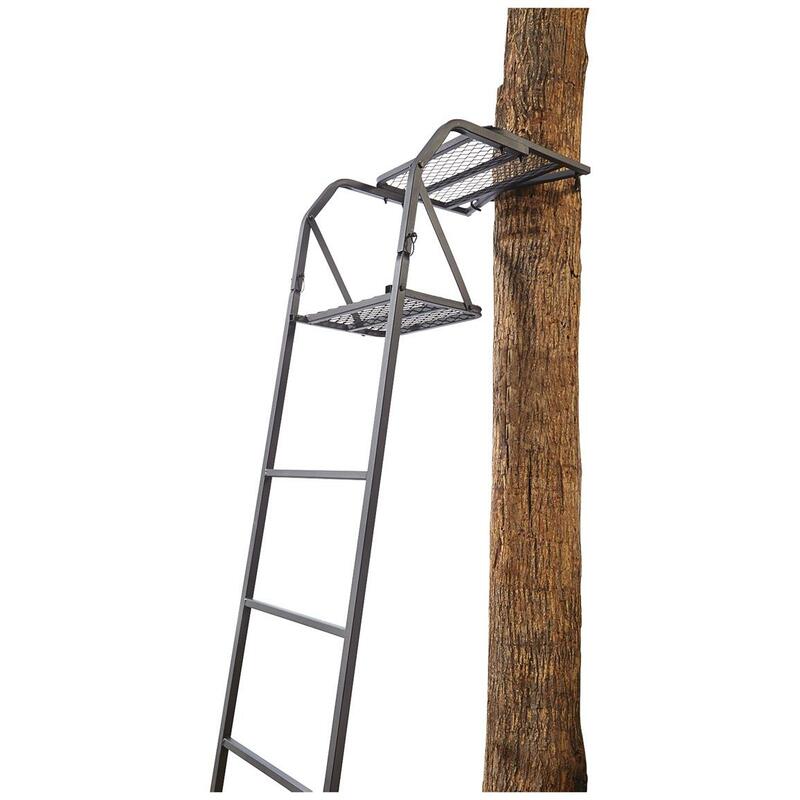 Platform Dimensions: 17.75" x 10.5"
Seat Dimensions: 19.5" x 10"
Guide Gear 15 Ladder Tree Stand is rated 4.6 out of 5 by 415. Rated 4 out of 5 by Mike from Well built stand for the price. Rated 5 out of 5 by none from great value. Was easy to assemble, slightly heavy. Rated 5 out of 5 by Skritty from Great price for a quality product The product is just as described. This is my fourth one I have purchased. Without arm rests it allows you to move easily left and right to give you different views. I hunt public management areas and it is easy to relocate and do not want to tempt anyone with an expensive deer stand. Rated 5 out of 5 by Hogarelli from Good value Easy to put together and a very simple stand which is what I wanted. Did not come with feet for the bottom of the ladder but I actually wouldn't have used them. I like the way it digs into the ground for added stability.. I'm 6'3" 250 lbs. When anchored to the tree it's plenty sturdy and solid. A lean, lightweight perch for hunting.